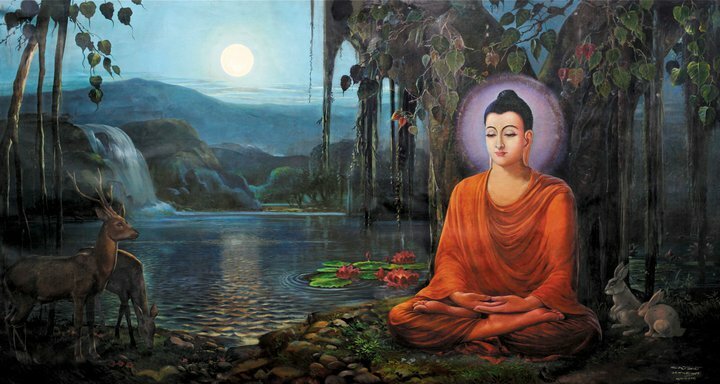 ၀ိမုတၱိရသ (The Flavour Of Liberation): "The daily routine of the Buddha"
"The daily routine of the Buddha"
For instance, In the Mahakapi Jataka, the Bodhisattva in a previous birth was the leader of a troop of monkeys living in the Himalayas. One day, the king of the state saw that the forest was abundant with mango trees, set his men upon the monkeys. To flee from the king's men, the Bodhisattva used some bamboo vines to build a bridge in order to the monkeys could cross over to the other river bank. Unfortunately, the bamboo vines were too short. To bridge the gap, the Bodhisattva stretched himself out, clinging on to one side with his hands and the other with his tail so that the monkeys could cross over on his back. Among the monkeys was Devadatta, his arch-enemy. Seeing his opponent in a disadvantaged position, he stamped hard on his back as he made his way across. The Bodhisattva was in immense pain but remained clinging on to the bamboo vines till the last monkey was safely across. The king, upon witnessing such a courageous and selfless act by such a monkey, ordered his men to bring him down from the trees and tried to save him. Asked why he endangered his life to save his subjects the Bodhisattva replied:"O King! Verily my body is broken. But my mind is still sound; I uplifted only those over whom I exercised my royal powers for so long. He sacrificed his own life for the welfares of his relatives and to flee or free from terrible dangers. 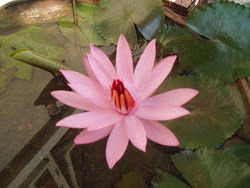 It is time for us to know how busy the Buddha was by looking his activities of daily routine. I. The forenoon session, from 4.00 a.m to 12.00 noon, he always gets up early in the morning at 4.00 am. As soon as he gets up, he washes and practice meditation for one hour by sitting. Then, from 5.00am to 6.00am, with great compassion, he used to looks the whole universe with his supernatural power in order to find out whether there is anyone who he could help or not. If he finds someone who he could help, he quickly goes to him or her with some his disciples or alone else. He wears and takes his robes and bowl and go out begging for his lunch food into the village or city. Having returned from his alms round, have lunch and preach dhamma to his monks, nuns and devotees. II. The afternoon session, from 12.00 noon to 6.00p.m, it is the time for monks to come and ask any questions or doubts to the Buddha. The Buddha always answers to them and gives suggestion or advices and subjects for meditation to them. After that, he looks around the whole world with his supernatural power to see anyone who needed and help him. 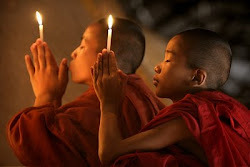 Then, he preaches the dhamma to people those who are waiting outside or willing to listen to his Noble Truth. III. The first watch, from 6.00 p.m to 10.00p.m, during this time also, monks and nuns come and ask questions so that to clarify their doubts and problems to the Buddha and listen to the Dhamma either. Some devotees come and listen to the discourses given by the Buddha, too. V. The last watch, from 2.00 a.m to 4.00 a.m, the Buddha walks up and down from 2.00 a.m to 3.00 a.m. from 3.00 a.m to 4.00 a.m, He sleeps and gets up at 4.00 a.m and continue his daily routine in this same way or manner. The Buddha had done many activities for the welfares and benefits of all living beings during the 45 years with great compassion, great sympathy and boundless or unlimited loving-kindness. He slept only one hour for one day. He had done these activities for all living beings so that free from sorrow, suffering, difficulties and problems, to free from the cycle of birth and death and to happy, pleasant and so on.